Promising new calibration tools, called laser frequency combs, could allow astronomers to take a major step in discovering and characterizing earthlike planets around other stars. These devices generate evenly spaced lines of light, much like the teeth on a comb for styling hair or the tick marks on a ruler—hence their nickname of "optical rulers." The tick marks serve as stable reference points when making precision measurements such as those of the small shifts in starlight caused by planets pulling gravitationally on their parent stars. The Caltech comb produces spectral lines in the infrared, making it ideal for studying red dwarf stars, the most common stars in the Milky Way. Red dwarf stars are brightest in infrared wavelengths. 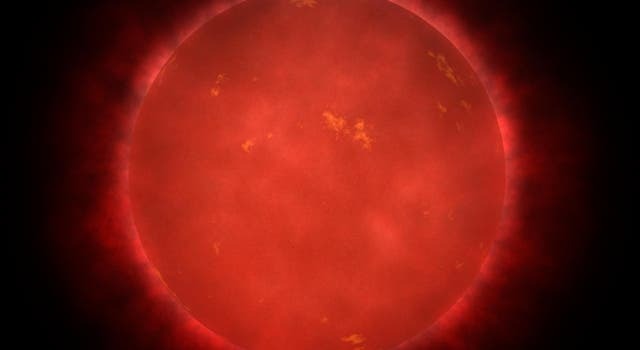 Because red dwarfs are small, cool, and dim, planets orbiting these types of stars are easier to detect and analyze than those orbiting hotter sun-like stars. NASA's Kepler space observatory has shown that almost all red dwarf stars host planets in the range of one to four times the size of Earth, with up to 25 percent of these planets located in the temperate, or "habitable," zone around their host stars. Thus, many astronomers predict that red dwarfs provide the best chance for the first discovery of a world capable of supporting life. "Our goal is to make these laser frequency combs simple and sturdy enough that you can slap them onto every telescope, and you don't have to think about them anymore," says paper coauthor Charles Beichman, senior faculty associate in astronomy and the executive director of the NASA ExoPlanet Science Institute at Caltech. "Having these combs routinely available as a modest add-on to current and future instrumentation really will expand our ability to find potentially habitable planets, particularly around very cool red dwarf stars," he says. Today's commercially available combs have a significant drawback. Because their tick marks are so finely spaced, the light output of these combs must be filtered to produce useful reference lines. This extra step adds complexity to the system and requires costly additional equipment. To resolve these kinds of issues, Caltech researchers looked to a kind of comb not previously deployed for astronomy. The novel comb produces easily resolvable lines, without any need for filtering. Furthermore, the Caltech comb is built from off-the-shelf components developed by the telecommunications industry. Scientists first began widely using laser frequency combs as precision rulers in the late 1990s in fields like metrology and spectroscopy; for their work, the technology's developers (John L. Hall of JILA and the National Institute of Standards and Technology (NIST) and Theodor Hänsch of the Max Planck Institute of Quantum Optics and Ludwig Maximilians University Munich) were awarded half of the Nobel Prize in Physics in 2005. In astronomy, the combs are starting to be utilized in the radial velocity, or "wobble" method, the earliest and among the most successful methods for identifying exoplanets. The "wobble" refers to the periodic changes in a star's motion, accompanied by starlight shifts owing to the Doppler effect, that are induced by the gravitational pull of an exoplanet orbiting around the star. The magnitude of the shift in the starlight's wavelength—on the order of quadrillionths of a meter—together with the period of the wobble can be used to determine an exoplanet's mass and orbital distance from its star. These details are critical for assessing habitability parameters such as surface temperature and the eccentricity of the exoplanet's orbit. With exoplanets that pass directly in front of (or "transit") their host star, allowing their radius to be determined directly, it is even possible to determine the bulk composition—for example, if the planet is built up primarily of gas, ice, or rock. In recent years, so-called mode-locked laser combs have proven useful in this task. These lasers generate a periodic stream of ultrashort light pulses to create the comb. With such combs, however, approximately 49 out of every 50 tick marks must be blocked out. This requires temperature- and vibration-insensitive filtering equipment. The new electro-optical comb that Vahala and his team studied relies on microwave modulation of a continuous laser source, rather than a pulsed laser. It produces comb lines spaced by tens of gigahertz. These lines have from 10 to 100 times wider spacing than the tick marks of pulsed laser combs. 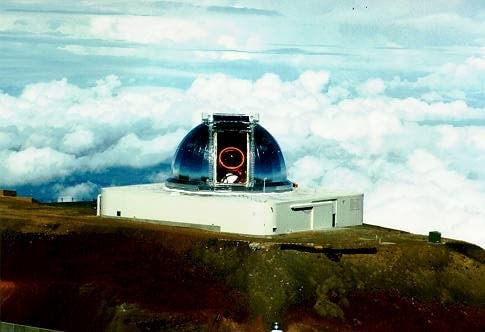 To see how well a prototype would work in the field, the researchers took their comb to Mauna Kea in Hawaii. In September 2014, the instrument was tested at the NASA Infrared Telescope Facility shown above; in March 2015, it was tested with the Near Infrared Spectrometer on the W. M. Keck Observatory's Keck II telescope with the assistance of UCLA astronomer Mike Fitzgerald and UCLA graduate student Emily Martin, coauthors on the paper. The researchers found that their simplified comb (the entire electro-optical comb apparatus requires only half of the space available on a standard 19-inch instrumentation rack) provided steady calibration at room temperature for more than five days at IRTF. The comb also operated flawlessly during the second test—despite having been disassembled, stored for six months, and reassembled. "From a technological maturity point of view, the frequency comb we have developed is already basically ready to go and could be installed at many telescopes," says paper coauthor Scott Diddams of NIST. The research team is planning to double the frequency of the prototype comb's light output—now centered around 1,550 nanometers, in the infrared—to reach into the visible light range. Doing so would allow the comb also to calibrate spectra from sun-like stars, whose light output is at shorter, visible wavelengths, and thus seek out planets that are Earth's "twins." The paper is titled "Demonstration of a near-IR line-referenced electro-optical laser frequency comb for precision radial velocity measurements in astronomy." The research performed at Caltech and JPL was funded through the President's and Director's Fund Program, and the work at NIST was funded by the National Science Foundation. NASA: "Ancient Mars Had a Vast Ocean Covering Half Its Northern Hemisphere"